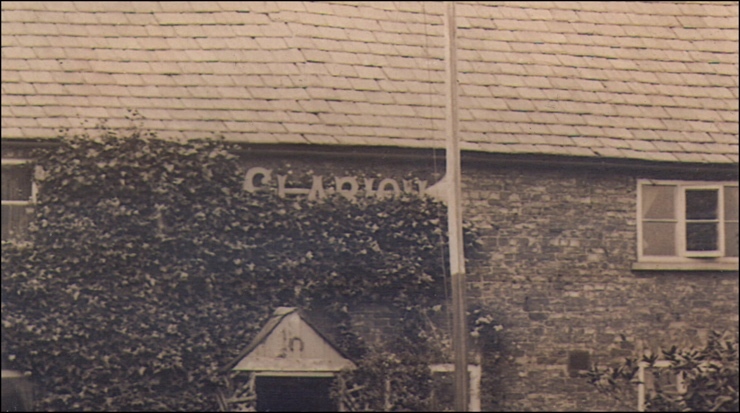 In the late nineteenth and early twentieth centuries a number of Clarion Houses were established in rural areas. 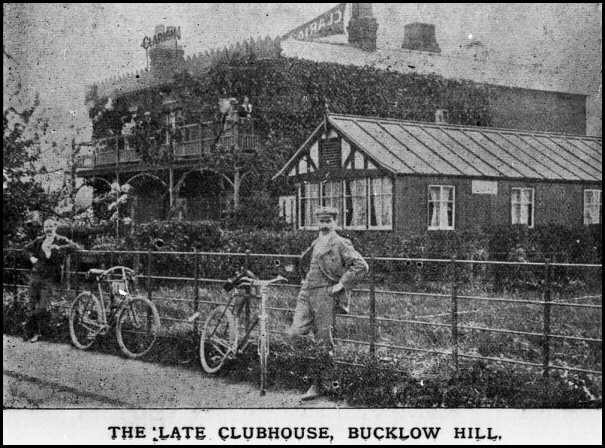 They provided refreshments, and often accommodation, for walkers, cyclists and others who wished to escape for a time from the smoky and increasingly crowded towns and cities. 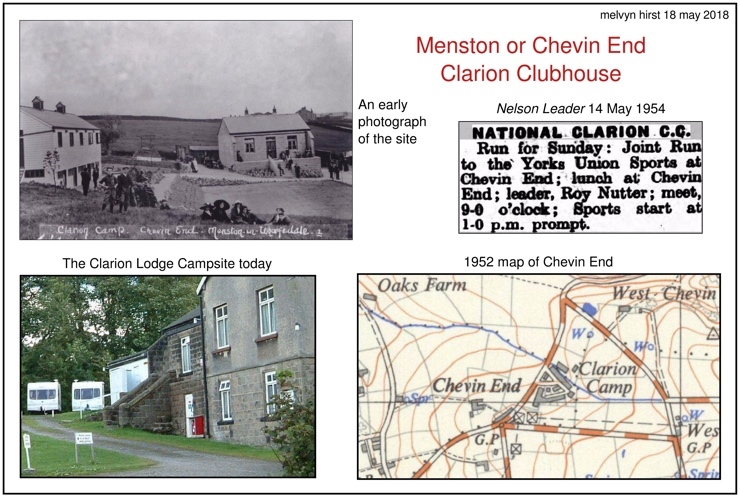 The first Clarion Houses were founded by the Clarion Movement, hence their name . They were followed by houses belonging to other socialist organisations such as the Social Democratic Federation (SDF) and the Independent Labour Party (ILP). 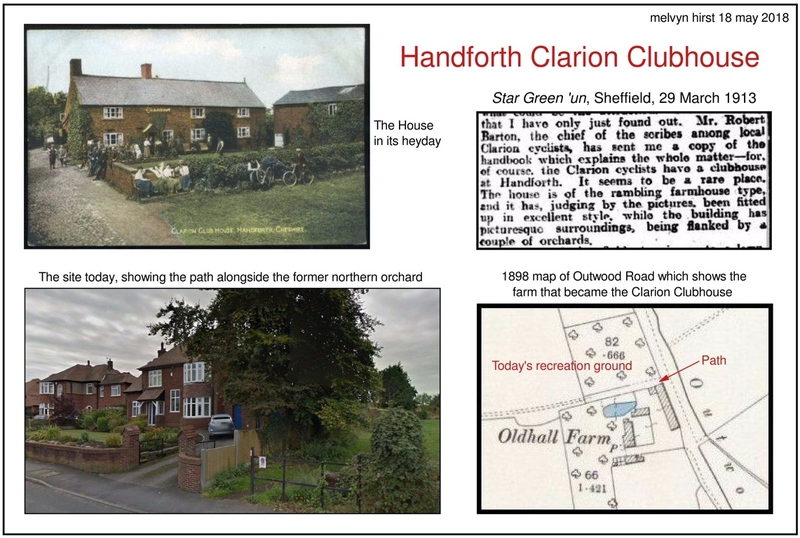 Many of these later houses were also known, formally or informally, as Clarion Houses. 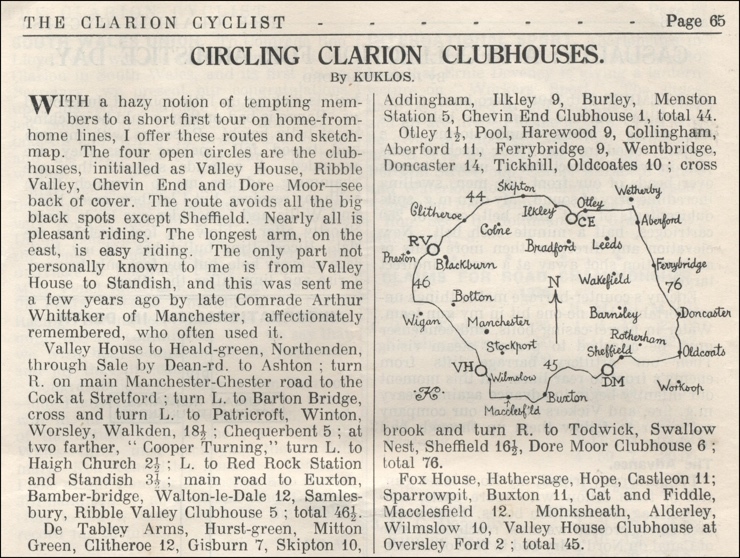 Most, if not all, of the houses opened by the Clarion Movement belonged to Sections, or Unions of Sections, of the National Clarion Cycling Club and were therefore known as Clarion Clubhouses. 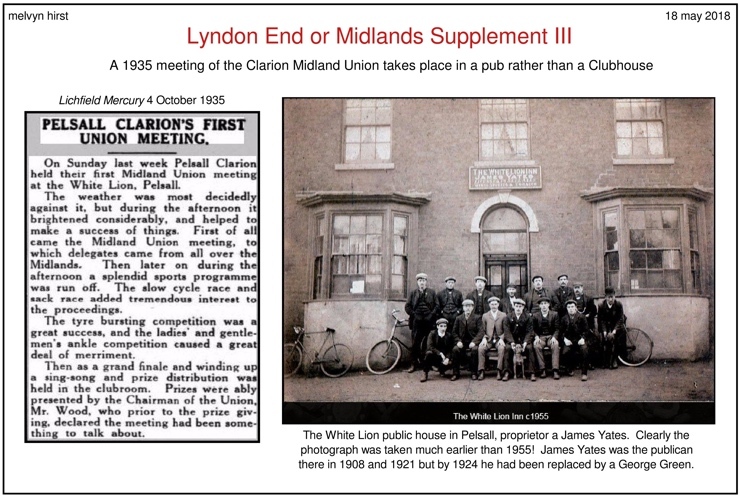 Because they tended to be located well away from the membership base, and were also open to members of Clarion cycling clubs from further afield, they typically provided accommodation as well as refreshments . 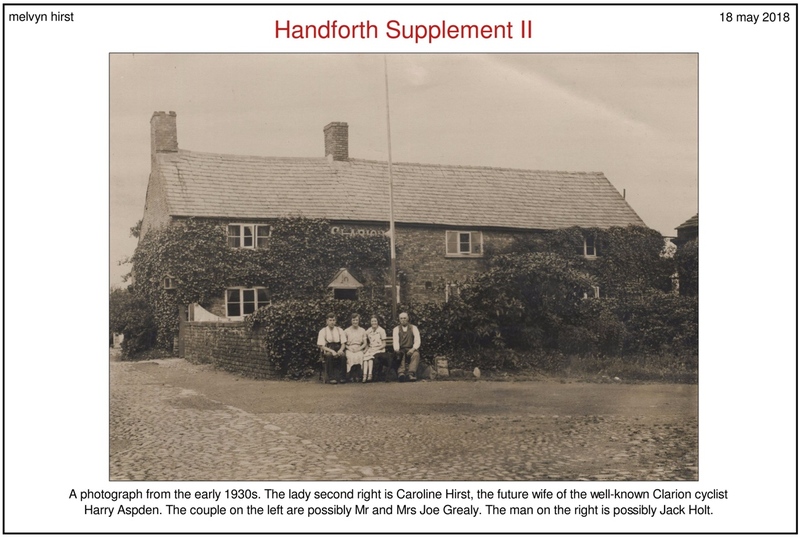 In contrast the houses established by other socialist organisations were normally located close to the membership base and provided only refreshments. 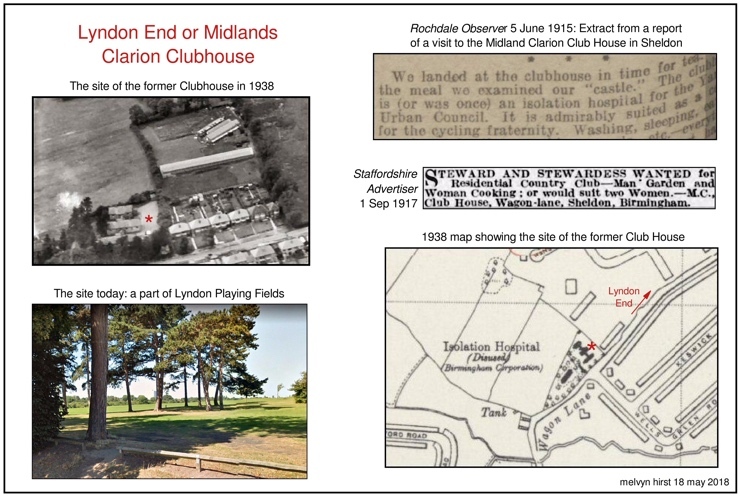 In 1902 the lease on the house was not renewed and the Manchester Clarionettes opened a new Clubhouse the following year near Handforth, some eight miles to the east. In 1936 the Handforth Clubhouse was replaced, in turn, by Valley House at Oversley Ford, some three miles to the south-west of Handforth. In 1912 the Nelson ILP built a successor to Nabs House in nearby Jinny Lane. 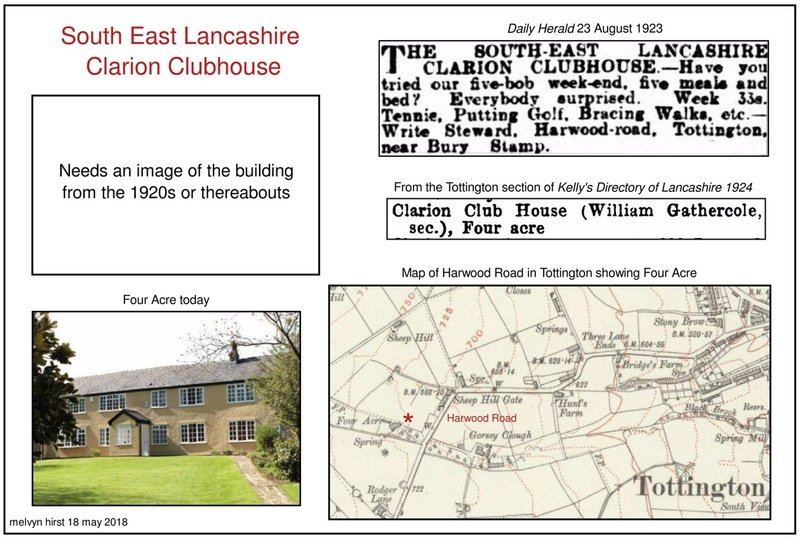 This house is still open today and is the last remaining Clarion House of any denomination . Some other Clarion Houses founded by the ILP and the SDF are described here. As was noted previously, not all of them were formally known as Clarion Houses. 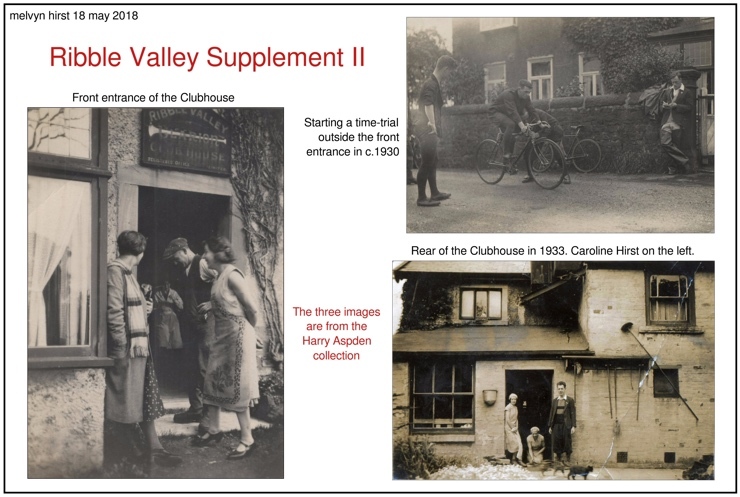 The Burnley ILP Cottage, for example, located near Roggerham in Extwistle, was traditionally called a Clarion House by cyclists and walkers but the name was not used by the Burnley ILP itself. 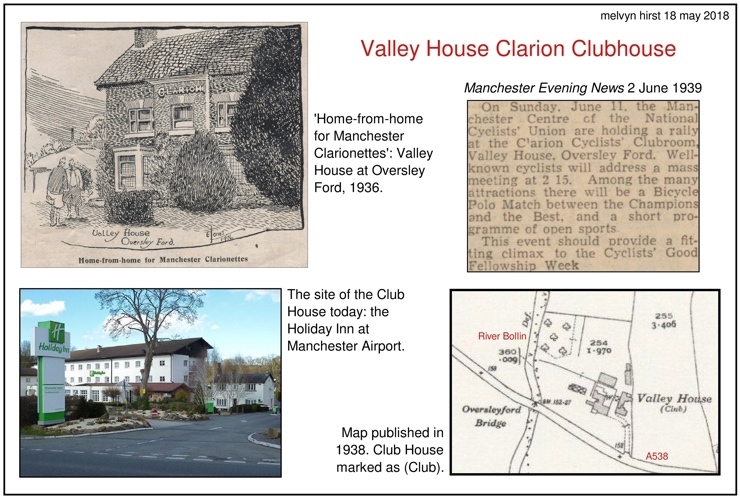 The purpose of this website is to present a series of montages which illustrate the residential Clarion Clubhouses founded by the Clarion Movement. All of the houses are discussed in the book Fellowship is Life: The Story of the National Clarion Cycling Club by Denis Pye . 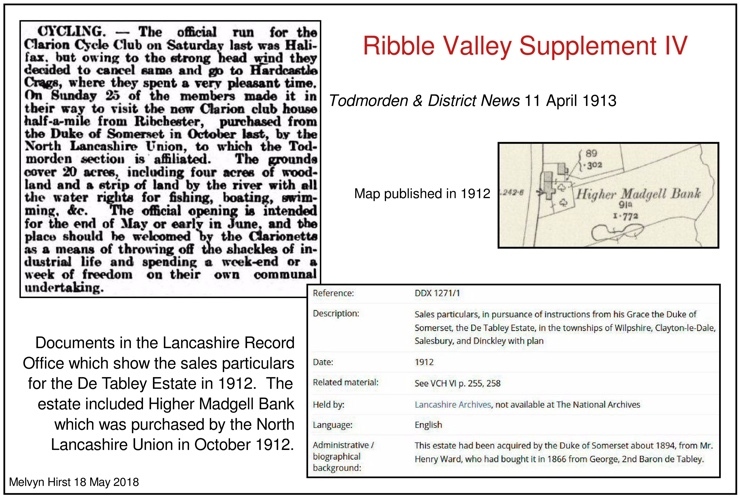 The houses in Cheshire are presented first, followed by the ones in Lancashire, Yorkshire, Derbyshire, Warwickshire (Midlands area), and Essex (London area). 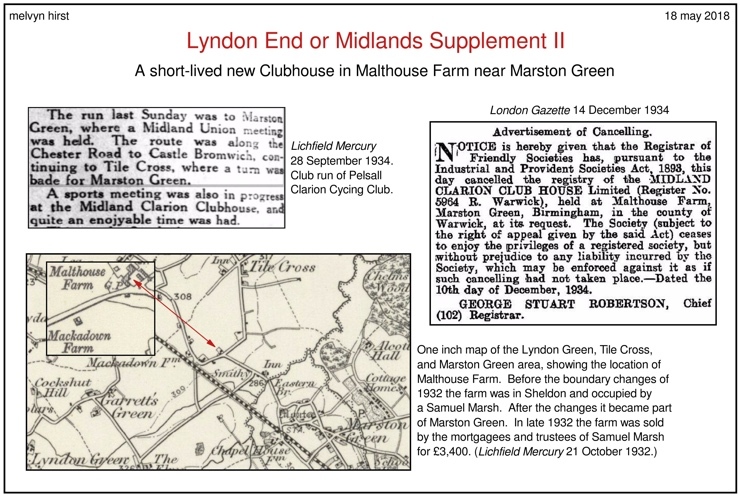 Some of the montages are supplemented with additional illustrations. 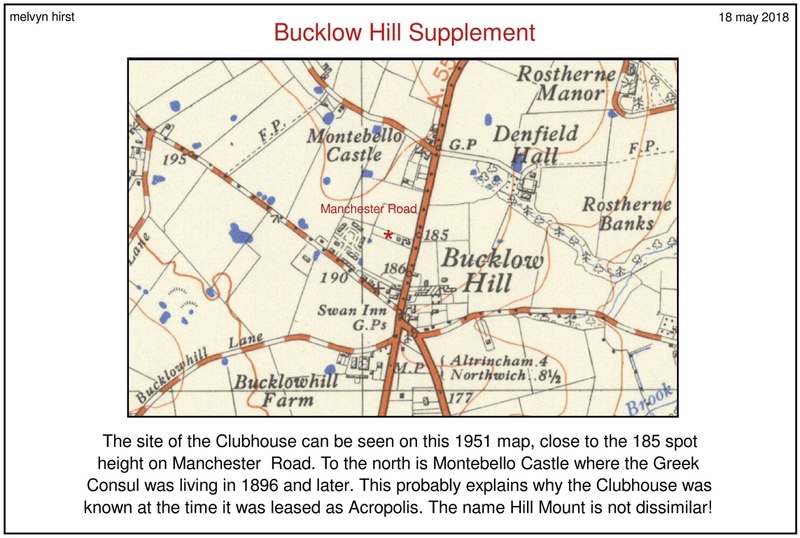 The images below can be clicked to show a larger version. After viewing an enlarged image, click the cross in the bottom right corner to return to this page. 1. 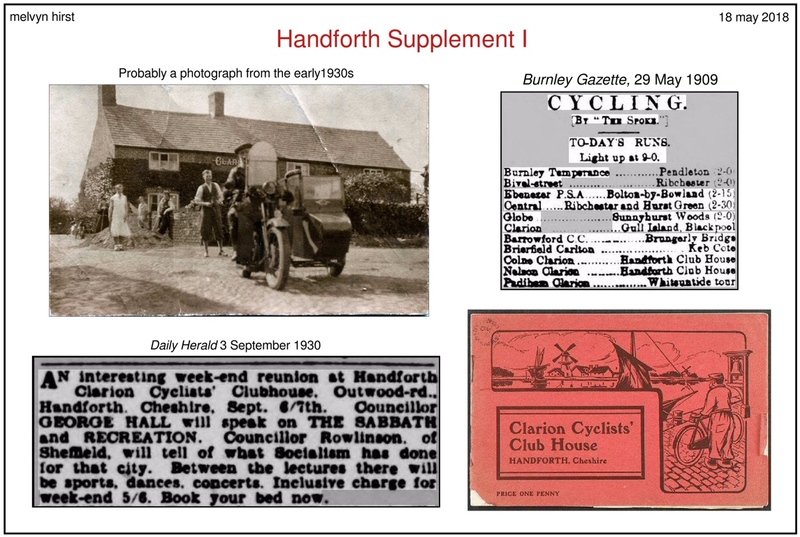 For a good introduction to the Clarion Movement see Martin Wright, "Robert Blatchford, The Clarion Movement, and the Crucial Years of British Socialism, 1891-1900" in Edward Carpenter and Late Victorian Radicalism, ed. Tony Brown (London: Frank Cass, 1990), pp. 74-99. 2. 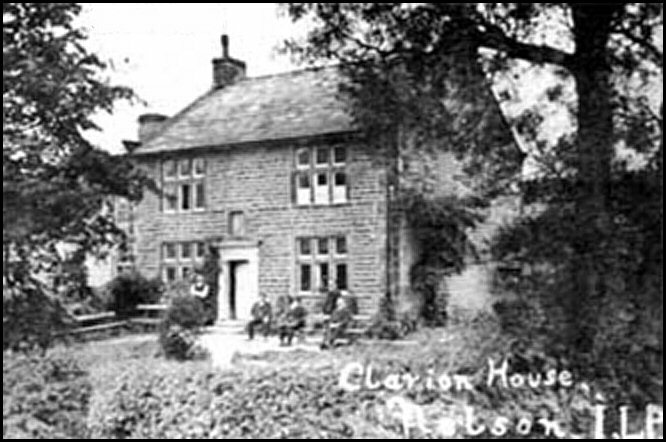 The Clarion House at Dore Moor in Derbyshire belonged to the broader Clarion Movement in Sheffield. 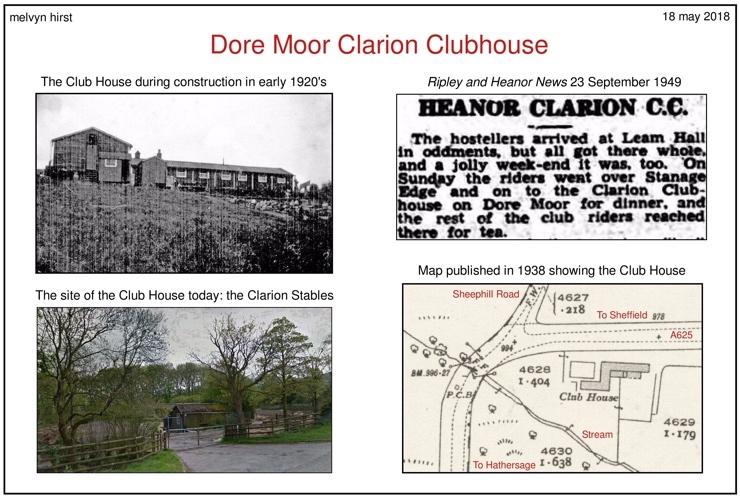 In an email to the author dated 28 June 2018 Gay Frost, the former Gay Walker, remembered the sleeping arrangements for Clarion members at Dore Moor. All the beds were collapsible and were stored during the day, together with the mattresses and army blankets, in a special room. If you were staying overnight you had to erect your bed late in the evening and put it away when you got up in the morning. The men used the tea rooms to sleep in and the ladies used the concert room to sleep in. Clean sheets were available from the stewards, the price you paid them only being the cost of sending the sheets to the laundry the following week. Additional information on the Dore Moor Clarion Clubhouse can be found here. 3. In 1898, prior to renting Nabs Farm, the Nelson ILP had rented a small cottage in Thorneyholme Square in Roughlee Booth. 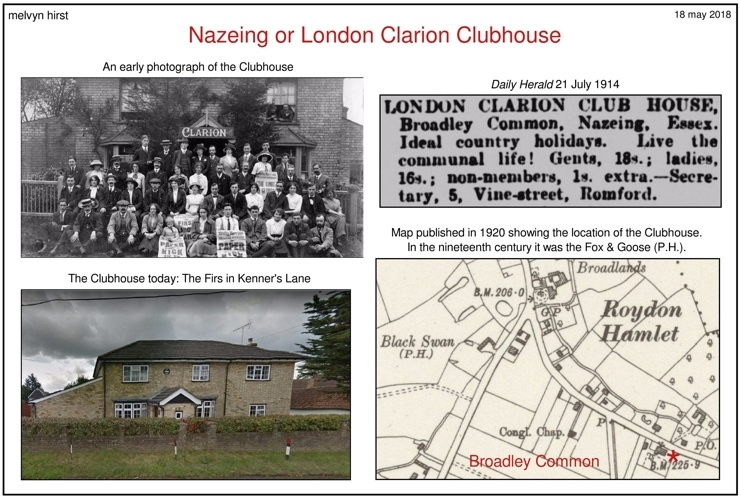 However it was not known as a Clarion House. 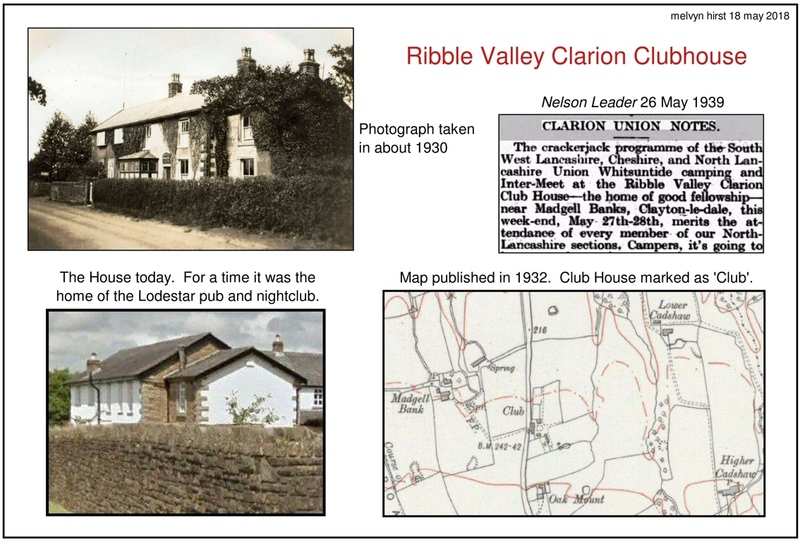 The present Nelson ILP Clarion House in Dimpenley Clough has an excellent website which may be viewed here. For socialism as a religion see Stephen Yeo, "A New Life: The Religion of Socialism in Britain, 1883-1896", History Workshop Journal 4, no. 1 (October 1997), pp. 5-56. 4. 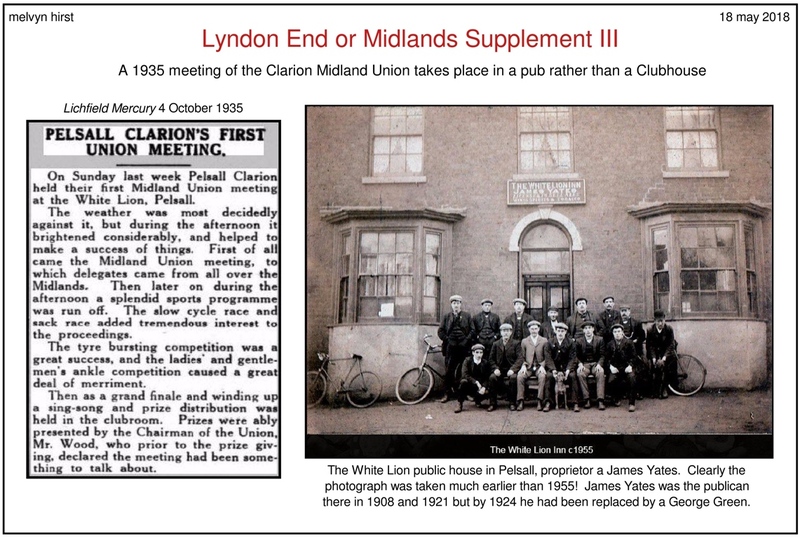 Denis Pye, Fellowship is Life: The Story of the National Clarion Cycling Club, revised edition with an Introduction by Christopher Goode (National Clarion Cycling Club, 2014). 5. 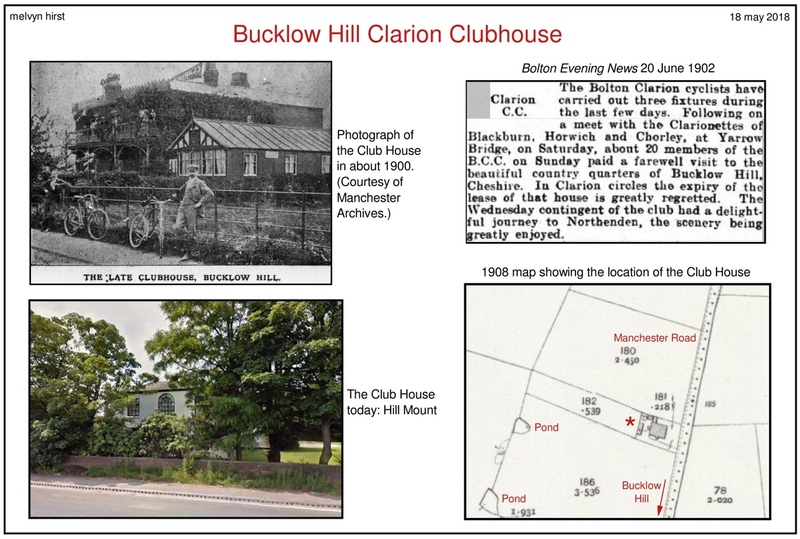 Fitzwilliam Wray ['Kuklos'], "Circling Clarion Clubhouses", The Clarion Cyclist 1, no. 5 (November 1936), p. 65. John Boardman of the Nelson ILP Land Society has recently developed a circular walking route that links together the three ILP houses of north-east Lancashire - Nelson, Colne, and Burnley. 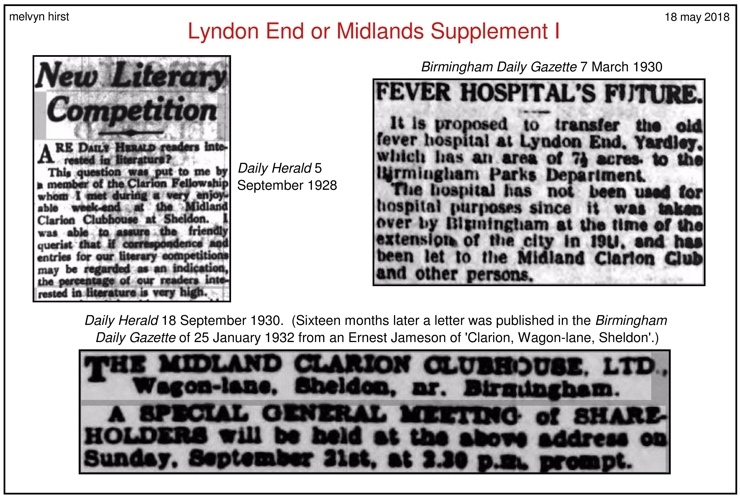 It's webpage may be viewed here. The Colne house is now a private dwelling and the Burnley one is in ruins. 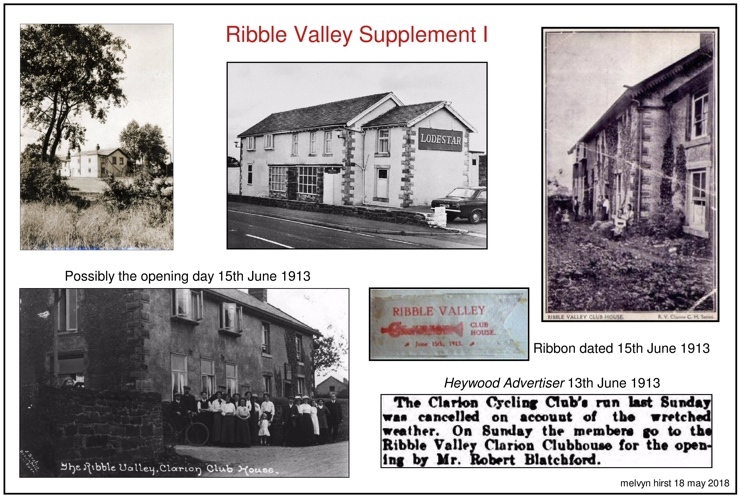 John did not include in the walk the former SDF Clarion House in Briercliffe, also known as Robin Houses, although the SDF and ILP in Lancashire were reputed to work closely together. 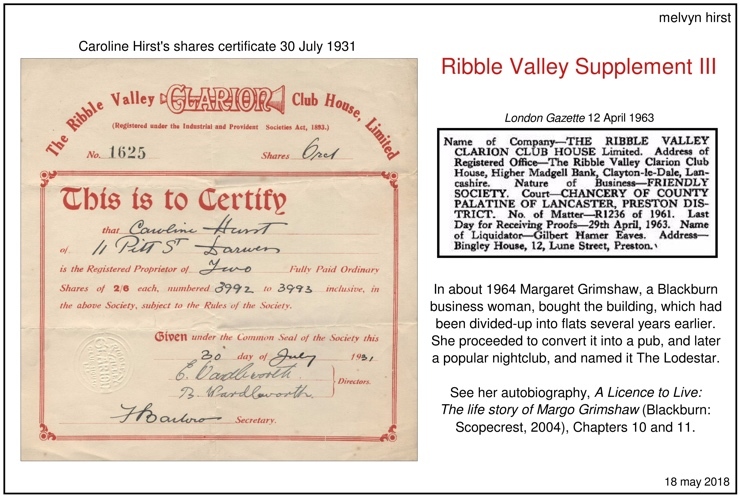 See for example Martin Crick, "A Call to Arms: the Struggle for Socialist Unity in Britain, 1885-1914", in The Centennial History of the Independent Labour Party, eds. David James, Tony Jowitt, and Keith Laybourn (Halifax: Ryburn Academic, 1992), pp. 181-204.